Kolsýrumolar í eftirgerjun á bjór, nákvæmur skammtur, leysist auðveldlega upp, þægilegt að nota, enginn sóðaskapur og ekkert fer til spillis. Designed to make bottling a breeze for all levels of homebrewers. Simply add one drop to each 12 oz bottle (2 drops if using 22 oz bottles) prior to filling. Fill bottle to within 1-2" of the top & cap as normal. 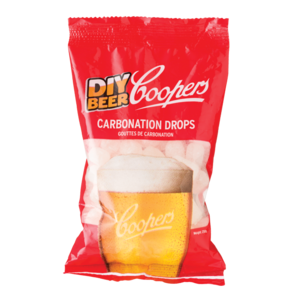 Store at fermentation temperature & your beer will be fully carbonated within 3 days. Contains 60 drops.